Custom Building Products #105 Earth Fusion Pro 1 qt. #105 Earth Fusion Pro 1 qt. Custom Building Products Fusion Pro Single Component Grout is a professional grade, single component sanded grout. 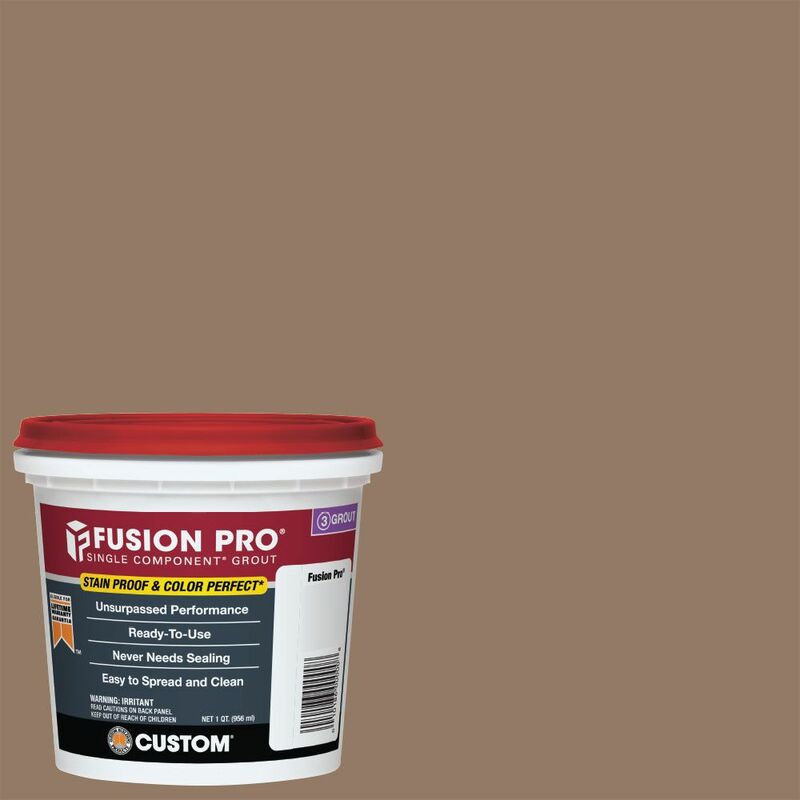 Fusion Pro requires no mixing and is ready to use on ceramic, porcelain, glass tiles and polished natural stone. It is suitable for exterior and interior wall and floor use.